Featuring around 1,200 homes and measuring approximately 100 blocks, the coveted community of Monte Vista is an excellent place to buy a home in San Antonio, Texas. This neighborhood is like no other in the city and boasts gorgeous tree-lined streets and large luxurious homes sure to impress prospective homebuyers. 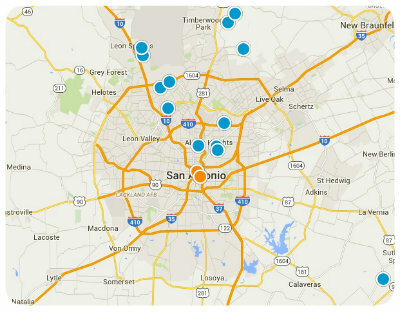 Located just north of downtown, Monte Vista is nestled in the heart of San Antonio. Among the most elite addresses in the Alamo City, Monte Vista is a well-preserved historical community that has great real estate options. The trees that line the quiet, wide streets of this neighborhood are mature and lush and the homes boast a prestige and glamour of times long past. With a rich history dating back to the 1800s, Monte Vista was established during San Antonio’s “Gilded Age.” There are no cookie cutter homes in this nostalgic community, but every residence has its own unique character and charm. Homes for sale in Monte Vista come is a wide variety of architectural styles including Hollywood bungalows, Victorian, Antebellum, Spanish eclectic, Georgian, Queen Anne, Craftsman-inspired, and Tudor homes. You can find single family homes, duplexes and apartments in Monte Vista. There are small, cozy cottages and luxurious, grand estates, homes with 1,300 square feet and homes with over 5,000 square feet. The median home value in Monte Vista is around $500,000 to $600,000. If you are willing to do a little renovation, you can find homes for as little as $400,000. If you are looking for a large home that has already been renovated, those are often priced in the millions. 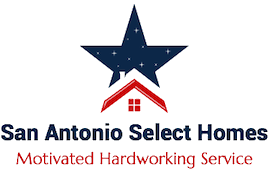 If you would like more information regarding homes for sale in Monte Vista of San Antonio, Texas, please do not hesitate to contact us today!